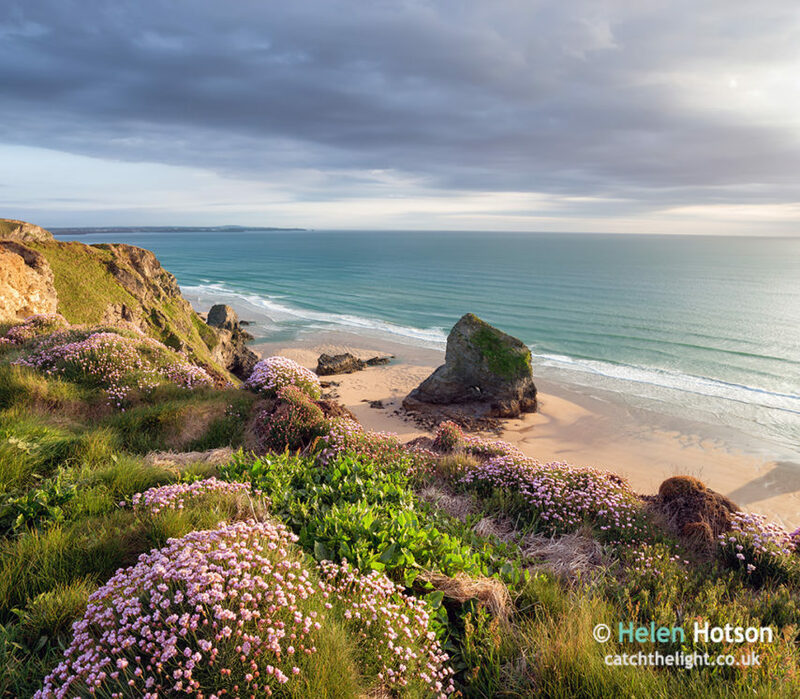 Summer time in Cornwall with sea thrift in bloom on cliffs above Bedruthan Steps on the South West Coast Path between Padstow and Newquay. Instantly download this image for web use and for prints. ★ Downloaded images are high resolution 300 dpi or higher jpg files in perfect quality for printing, they do not contain watermarks. For best results print on high quality photo paper or canvas.